A thorough review of the national security system in its entirety should be undertaken by an independent body of experts. Having a National Security Adviser (NSA) who also is the Principal Secretary to Prime Minister can only be an interim arrangement and having a full time NSA is of paramount importance. Armed Forces HQs are outside the Apex governmental structure. This had led to many negative results and it is felt that the Services headquarters should be located within the Government. The entire gamut of National Security Management and Apex Decision Making and the structure and interface between the Ministry of Defence and Armed Forces' HQs, should be comprehensively studied and re-organised. There is need to enhance India's Defence outlay as budgetary constraints have affected modernisation and created operational voids. Government must determine the level of Defence spending in consultation with the concerned Departments and Defence Services. The report was submitted on December15, 1999 and tabled in both Houses of the Parliament on 28 February 2000. Following the submission of the KRC Report, the Government set up a Group of Ministers (GoM) on April17, 2000 to review the KRC Report and make their recommendations. The GoM set up four Task Forces, one each on Intelligence Apparatus, Internal Security, Border Management and Management of Defence. The recommendations of these Task Forces were considered for implementation. Brief progress is given below. Management of Defence. This contained 75 recommendations out of which more than 60 have been implemented. The key recommendation of constituting the institution of Chief of Defence Staff (CDS) is still pending. The Government report itself accepted that, "The currently envisaged institution of the CDS is likely to be the first step in a series of structural reforms to be implemented incrementally. As this institution is absorbed and evolves, further refinements and changes in concepts and structures will follow". The reason is both political and differences within the Services. Delegation of Powers to the Service Headquarters. This involved administrative and financial powers which have been enhanced in a gradual manner. Establishment of Integrated Defence Staff. 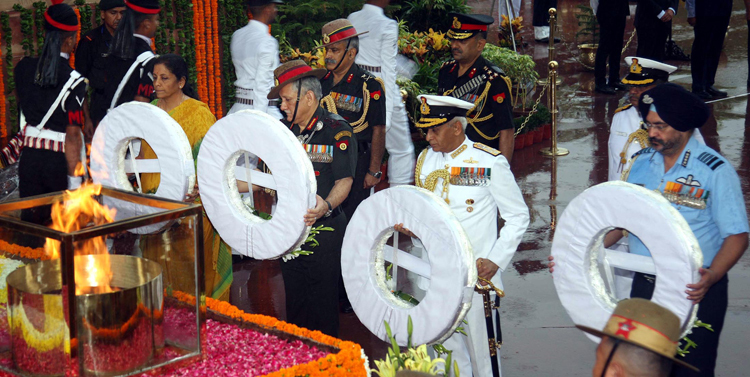 Headquarters Integrated Defence Staff (HQ IDS) was established by the Government on November23, 2001 to fulfill the pressing need for an institutional framework for higher management of defence. Involving Service HQs in the planning and procurement process of equipment. The HQ IDS have been involved in planning and procurement process by the Ministry of Defence. Financial Delegation to Defence Minister and Finance Minister. This has been carried out. 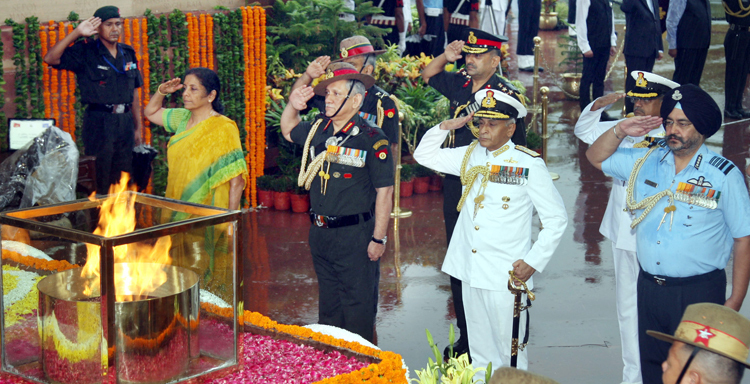 Synergy among the three Services of Armed Forces. The KRC in their report had said that with relation to National Security Management and Apex Decision making. "India is perhaps the only major democracy where the Armed Forces Headquarters are outside the apex governmental structure. The Chiefs of Staff have assumed the role of operational commanders of their respective forces rather than that of Chiefs of Staffs to the Prime Minister and Defence Minister". This again reflects on lack of implementation of the appointment of CDS. Restructuring of MoD and Service Headquarters. This has partially been achieved. Defence Budget. The Committee desired that budgetary allocation to the Ministry of Defence should be based on various schemes to be taken up during the period of Five Year Plans. The Ministry should have the authority to spend that sanctioned amount within that Five Year Plan period and not in a particular financial year only. This has not been implemented in terms of adequacy of the budget for modernization resulting in a cascading effect on the capital and revenue requirements of the Defence Forces. The annual spill over of the unspent portion of the budget has also not been permitted. Optimal Age Profile. This has been implemented through Ajay Vikram Singh Committee recommendations. Up gradation of quality of personnel. In view of the increasingly complex requirements of modern-day warfare, the need to attract quality personnel and nurture leadership in the Armed Forces is paramount. Therefore, ways and means of attracting and retaining people with the best talent in the Armed Forces should be evolved. This is being gradually implemented. Civil-Military Interface. The establishment of a civil-military liaison mechanism at various levels, from the ranking Command HQ to the operational formations on the ground, Division, Brigade or Battalion, is most necessary to smoothen relationships during times of emergency. This is being done. Intelligence. 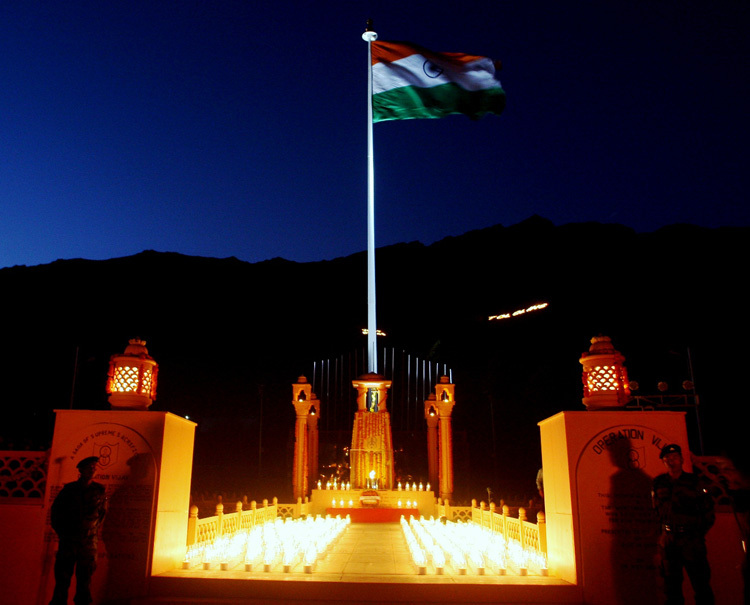 Due the failure of intelligence in Kargil, it was recommended that there is an urgent need to strengthen the capabilities regarding the intelligence gathering, the intelligence analysing, intelligence sharing and taking follow-up action on those recommendations. This is being done. Withdrawal of Army from internal-security duties. By and large this is being implemented. Border Management. Border management is carried out by the Ministry of Home Affairs and involves both land and sea borders. There has been considerable progress in this respect. In respect of 130 actionable recommendations made by the GoM on Border Management, action has been completed with regard to almost all the 130 recommendations. Army, Navy, air Force, Central Armed Police Forces and state police forces have been integrated on as required basis and including other agencies. Land borders specially in the north, west and east still face problems of smuggling and people illegally crossing over for attacking military bases and terrorism. Coastal security has really been tightened and has been generally incident free. Air Force looks after the air space and coordinates with civil aviation.